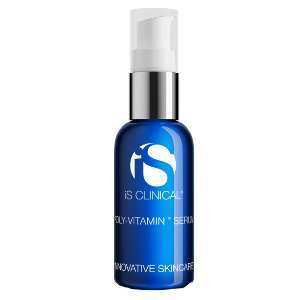 is Poly-Vitamin Serum Review: Does This Help To Remove Fine Lines? A formulation designed for all skin types, IS Poly-Vitamin Serum is an intensive, revitalizing formula that contains a blend of essential vitamins, free radical neutralizing antioxidants and beneficial bio-nutrients. 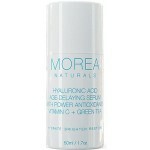 It nourishes, protects and hydrates skin to help slow down its aging process. 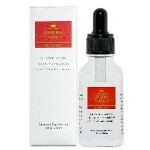 This formula claims to significantly improve skin texture and tone as well. It is not formulated with parabens and other common irritants to reduce the chance of causing adverse reactions. According to its website, Innovative skincare is dedicated to creating clinically-validated skincare products that help improve both physical and emotional well-being of people all over the world. The company offers a line of skin care products, including cleansers, moisturizers and protective formulas that use innovative ingredients. The brand is actually not very known although its products are advertised in some beauty and fashion magazines. To use IS Poly-Vitamin Serum, apply a thin layer to target areas and then let it dry naturally to ensure thorough absorption. A 30 ml container of this skin care product is being sold online for $98. 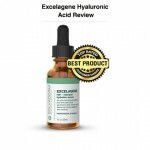 Hyaluronic Acid: This is currently one of the most popular hydrating ingredients in skin care products because it is very effective. It doesn’t just attract water into skin but it keeps it there are well, which works for long-term hydration. Sugar Cane Extract: It is a natural source of the alpha hydroxy acid, glycolic acid – this gently exfoliates skin to stimulate its cellular renewal process. 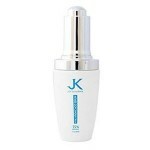 The result is smoother, softer and overall more youthful skin. Vitamins B3 and B5: These are nourishing ingredients that promote healthy skin. Green Tea Extract: Aside from containing skin beneficial nutrients, it is also rich in antioxidants that neutralize free radicals to address one of the top causes of rapid skin aging. Bilberry Extract: Packed with antioxidants, it has become popular as an ingredient in anti-aging skin care products. Vitamin A: Also known as retinol, it encourages the production of new, healthy skin cells. This ingredient stimulates fibroblasts, which are cells that help make the skin healthy and firm. It is a proven anti-aging ingredient that’s used in thousands of skin care formulations on the market. 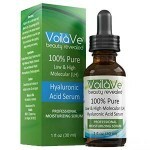 Overall, IS Poly-Vitamin Serum is a slightly above average anti-aging formula. It contains potent antioxidants, skin nourishing and hydrating ingredients, and a proven anti-aging vitamin. However, the price of this formula is very high, and you can actually buy very similar formulations from more established skin care brands at a lower cost. There’s no money back guarantee stated on the web page of this product.